Clive Godsell added 11 new photos. Another splendid day at the annual Kop Hill hill-climb. 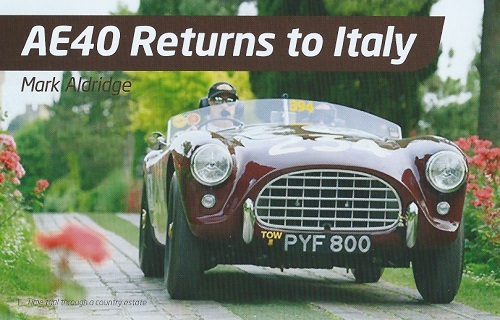 AC ACE returns to Mille Miglia (2017), courtesy to AC Club magazine. Clive Godsell added 9 new photos. Clive Godsell added 2 new photos. Having spent the weekend at Brooklands for this year’s Double Twelve and the re-opening of the finishing straight, talk was had regarding the use of the Brooklands Fishtail exhaust. It turns out that although it changes the tone of the exhaust note, there is no performance benefit to be had, it was nothing more than a silencing attempt to placate a growing band of angry Brooklands neighbours. Clive Godsell added 5 new photos. Clive Godsell added 3 new photos. Word is out that work is underway on a Ferruccio Lamborghini biopic. The feature film will tell the story of Ferruccio Lamborghini’s ascendance from a tractor manufacturer to the founder of a supercar company that challenged his countrymen in Maranello. Cast so far; Ferruccio Lamborghini (Antonio Banderas) and Enzo Ferrari (Alec Baldwin). Wishing Mark Aldridge and his wife all the best in the 2017 edition of the Mille Miglia. (See full story in current Octane magazine). A big thank you to the organisers and all marshals on the VSCC Spring Rally. I very enjoyable event, a good result, and some fine scenery and weather. Spotted on the way to VSCC Spring Rally at Goodwood. Amazing it’s possible to fit a spark plug clip incorrectly ! The answer is, a two ring closers in one pair of pliers, one for pigs, one for hogs. Used to stop them digging up the farm. Interesting item shown to me by one of my customers. Does anybody know what it is, or what it is for. May not necessarily be anything to do with cars ? a Mercedes document recounting the history of the Silver Arrows. Clive Godsell shared Paris ZigZag's video. The Historic Rally Car Register annual open day is on 14th January 2017 at Gaydon.The annual HRCR open day, give event organisers and competitors the chance to meet up and make plans for the 2017 season. The Scenic Tour, Clubman, Speed and Stage Rally Championships will be represented. Clive Godsell added 4 new photos. For those who have been curios about my new steed; it is a 1929 Frazer Nash Ulster (one of only five produced and possibly the only remaining). It comes with a very healthy Meadows engine, and has a stack of racing history going back to Brooklands, Silverstone, and more recently two wins on the Lands End trial. I would have been out in it next weekend at the VSCC winter driving tests, if it wasn't for a broken hand. Hope to be back to normal for the new years tests at Brooklands and the spring rally. Picking straight up from where we finished last time, our 21st progress video is action-packed, with much preparation leading up to the first runs of the engine while actually fitted in the boat- turn up your speakers! Autochron added 2 new photos. Just found whilst sorting through some old MotorSport magazines. £1,000 was a lot of money in those days, but what a car to won now. Autochron added 6 new photos. We were graced with fine weather for the Shutleworth Fanale Race Day at the Old Warden Aerodrome. Autochron added 1 new photos. We are proud to be appointed as a re-sellers for the Racelogic range of products. Autochron added 4 new photos. Courtesy of Mike Gibbs and John Rowlands Fuchs Oils (Silkolene), an extract from Chain Gang Gazette 160. Let's start with Oil Viscosity. One must appreciate that an engine does not know what grade of oil was put in its sump! An engine responds to the viscosity of the oil at the temperature it happens to be at any moment. The SAE is measured at 100°C. If it is less than 100°C, the oil will be thicker; if higher, it will be thinner. A few degrees either way doesn't make much difference. A SAE 30 at 90°C is, as far as the engine is concerned, an SAE 40. At 80°C it is a SAE 50; at 70°C a SAE 60 and at 60°C it is off-the-clock and a serious menace to bearings. Of course, at 110°C a SAE 30 is effectively a SAE 20, which is usually fine, as hot oil is usually not a menace. First Awful Warning. 'Cold engines and unnecessary oil coolers do far more damage than hot oil. What is SAE: SAE specs are only true at exactly 100°C. They are identified by numbers but may as well be called Alice, Bill or Eric. SAE 35 is just the name of a specification; there is no such thing as a SAE 35. It is rather a daft oil viscosity system invented by The American Society of Automotive Engineers'. There are however very precise standard viscosity units just as there are Watts, Volts, Amps, and BHP. The unit is called the Centistoke written cSt. It is named after George Stokes, an Irish maths and physics wiz who was Lucasian professor of mathematics at Cambridge in the 19th century; a job later held by Stephen Hawking. Stokes was into fluid dynamics, one of the most difficult subjects ever, and it is interesting that another scientist who was very good at it was jet engine inventor Frank Whittle. Manufacturers aim roughly in the middle spec range, so SAE 40 oils are usually cSt. 14 to 15 at 100°C. but it is entirely possible for a SAE 40 oil to be virtually identical to another manufacture's SAE 50 if one is cSt 16. and the other is cSt 16.3. '. . . Crossley Brottiers' pioneering experience is 15 The Chain Gang Gazette - 160 - August 2013 reflected by a notice they put out in 1884 in which they announced special arrangements with Price's Patent Candle Co. for the supply of suitable oil for their engines. The notice, in the spirit of the times, refers to much trouble with Engines on account of BAD OIL, and includes the memorable passage; ‘So many Engines have been spoiled by parties who, in a hurry to start the Engine, send out and get any son of stuff, bearing the name of oil, that was obtainable, and, which, being quite unsuitable, burnt and spoilt the slides, that we earnestly recommend our friends to provide themselves in good time with a suitable oil'. Castor oil was the one exception, being valued in particular as an aero engine lubricant both in the early days of aviation and during WW1. Its high viscosity and remarkable anti-wear properties made it essential for the air-cooled rotary-type engines which were prone to cylinder distortion and piston seizure. The poor oxidation resistance of castor was offset by total-loss lubrication giving very high consumption - 5 to 10 litres per hour - and the fact that the engines were stripped down after a maximum of 50 hours use. Even so, R & D effort was put into the replacement of castor with mineral lubricants, and by the early 1920s castor-based oils were virtually obsolete, with the exception of racing engines. 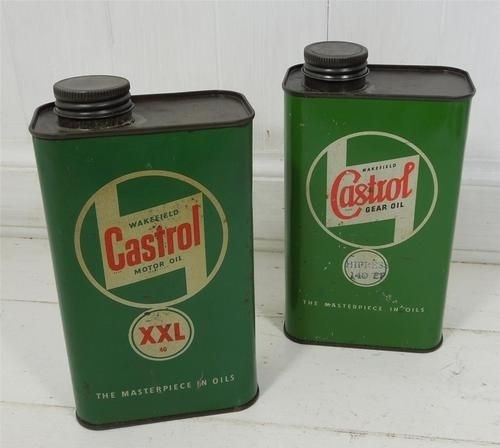 However, castor based oils are still the lubricants of choice for vintage racing engines due to their remarkable anti-scuffing properties and their ability to absorb methanol without any ill effects. The very short life of 1920s-1960s castor-based 'R oils and their habit of coating everything in dark brown lacquer have been more or less cured by using special inhibitors originally developed for jet engine synthetic lubes. But avoid anything claiming to be 'pure castor' like the plague! Some manufacturers, especially those from the USA, haven't caught on yet. Back in the 19th century steam engines ran on mono-grade mineral oil, and, when they arrived, so did motor cars. Even then, although all oils got thin when hot, some got thinner than others, and the oils from Pennsylvania crude were prized because they were reasonably pourable when cold and not incredibly thin when hot at 210°E These oils were given a Viscosity Index (VI.) of 100, which was, and is, good. All you needed to know for your G.N. was: 'is the oil Light, Medium or Heavy? ', as in Castrolite, Castrol XL or XXL? Is the VI. around 100? And that was it. Later, the 100C SAE numbers came along to confuse everybody. Post WW2 the Winter or'W ratings for low temperatures started to appear. SAE 20W was initially a cold viscosity test at -10°C, later moved to -15°C. The only oils that would pass both 20W and 20 in the 1930s and early 1940s were the 100VI SAE 20 grades, so they were 20W/20. The SAE 30, 40, and 50 mono-grade oils couldn't pass any cold test; they varied from semi-liquid to something like candle wax at -15°C. The late 1930's thru early 1940s were the golden age of polymers. Synthetic 'Buna' rubber; polyamide (Nylon); polyisobutene; polymethacrylate (Perspex or Lucite) and polyethylene all appeared in quick succession. Scientists got more and more adventurous with them. Nylon started out as toothbrush bristles, then revolutionised ladies' stockings, helping the War Effort. Perspex started out as flat sheets, and then they tried blowing hot Perspex into felt-lined moulds to get curvy shapes. Look at the evolution of cockpit covers from Me 109, thru the Spitfire, and the P51D Mustang over the period 1935 to 1944. Oils scientists found that short Perspex polymer chains would dissolve in oil, and just half a per cent would inhibit the formation of wax in lubricating oil at low temperatures, making it less likely to set solid. More would thicken SAE 20 oil to SAE 30. But something odd happened if this thickened oil was put through the minus 15°C SAE 20W test: it passed. The polymer chains bunched up at low temperatures and had little thickening effect on the oil, but they expanded 16 The Chain Gang Gazette - 160 - August 2013 as it warmed up, holding on to some viscosity at higher temperatures. So there it was; a 20W/30. So the first multi-grade available in the 1950s was a 20W/30, giving good cold starting and 24% higher viscosity at 100°C than a 20W/20, finally beating the 100VI Pennsylvania oils with a VI of 110-115. 20W/40 soon followed, and the daring 10W/30 for bad winters. In the late 1950s Shell X-100 was available in 10W/30 and 20W/40 grades. Of course, it would also have had all the beneficial goodies used in the mono-grades of the time; antioxidants, detergents and so on. The stage was set for the iconic 130VI 20W/50, the choice of mad Mini drivers from 1960 onwards. The polymers used in early multi-grades were the Terspex' polymethacrylate type or the cheaper poly-isobutene, (PIB). As time went by, all sorts became available, with by far the most popular today being based on synthetic rubber polymers. These give average to good shear stability, but, as is so often the case, you get what you pay for. Buy the best ones that put up with high pressures and rates of shear. These are especially beneficial in motorcycle engine/transmissions where the engine oil lubricates the transmission as well, and in high-revving classics with heavily-loaded and often gear-driven valve gear. Unlike a mono-grade, a multi-grade made using a polymer with poor shear resistance will give a low viscosity in the severe 'High Temperature High Shear' (HTHS) test at 150°C. This measures viscosity in a tight-clearance taper bearing setup, which is very much closer to engine bearing conditions than the leisurely gravity-driven standard viscosity methods used for the 40°C and 100°C figures quoted in engine oil data sheets. So one 10W/40 can be noticeably thicker than another where it matters. There it is. Are you the wiser? Old engines appreciate good cold starts just like the modern stuff. So give them appropriate oil of the best quality and patiently warm the engine before working it hard. Helping to preserve our motoring heritage. Congratulation to Dominic & Jack Manser and their AC Cobra on a class win in the RallyRound 'The Paris-Vienna Rally'. 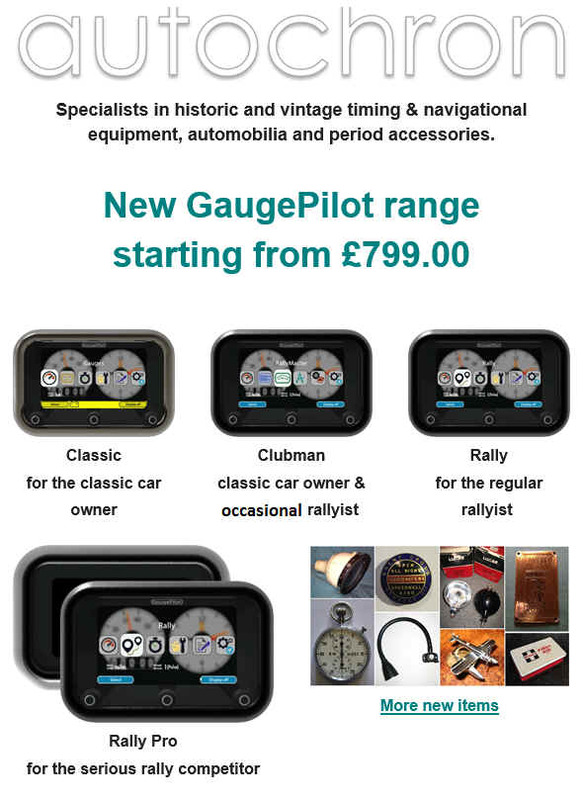 Another success for GaugePilot. The teleprinter more was noticed and snapped up by keen eyes at the National Museum of Computing at Bletchley Park. 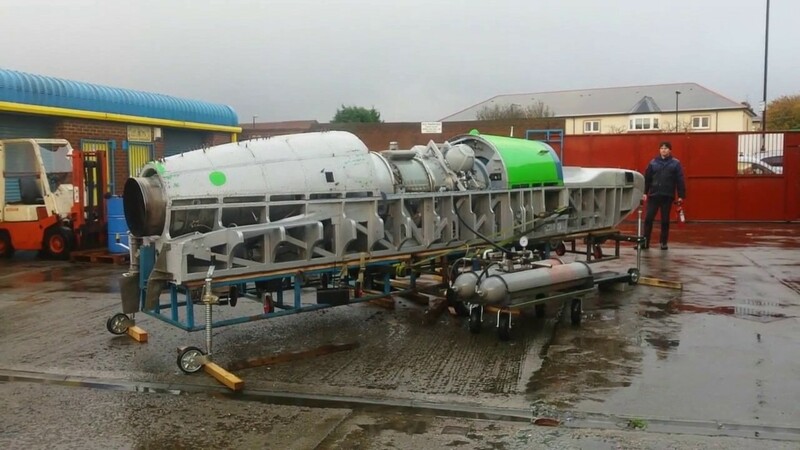 The precious machine was languishing in a Southend, Essex shed covered in rubbish. Things don't always go to plan !!! Using the skill and experience of former RAF pilot Tim Ellison, north London born photographer John Dibbs was able to fly to within 15ft of different Spitfire planes. Brake fluids are defined by their DOT grade in relation to their boiling temperature for both dry and wet states. Whilst DOT 4 would seem to be better than DOT 3, its rate of boiling point degradation due to moisture content is greater than DOT 3. This would imply that if brake fluids are not frequently changed, one might benefit from use of the lower spec. DOT 3. Autochron added 7 new photos. Drive it day this Sunday. Having just watched Horatio’s drive on Sky PBS America, there was mention of some early US “Red flag” style driving laws at the time, here are some for your amusement, together with some crazy laws still in place in the USA. a) Pennsylvania - Any motorist driving along a country road at night must stop every mile and send up a rocket signal, wait 10 minutes for the road to be cleared of livestock, and continue. Please don't forget "Drive It Day 2016", this is fast approaching. Held this year on Sunday, April 24, and backed by the Federation of British Historic Vehicle Clubs (FBHVC), it commemorates the 64 cars that left London on the first day of the Royal Automobile Club’s Thousand Mile Trial. Motoring was in its infancy; the fact that 46 vehicles finished after a gruelling run through Bristol, Birmingham, Manchester and Scotland before looping back to London set a precedent. We take it for granted the reliability of our modern motor car. When was the last time something actually went wrong? This was not the case as we all know for old cars, even when they were new. 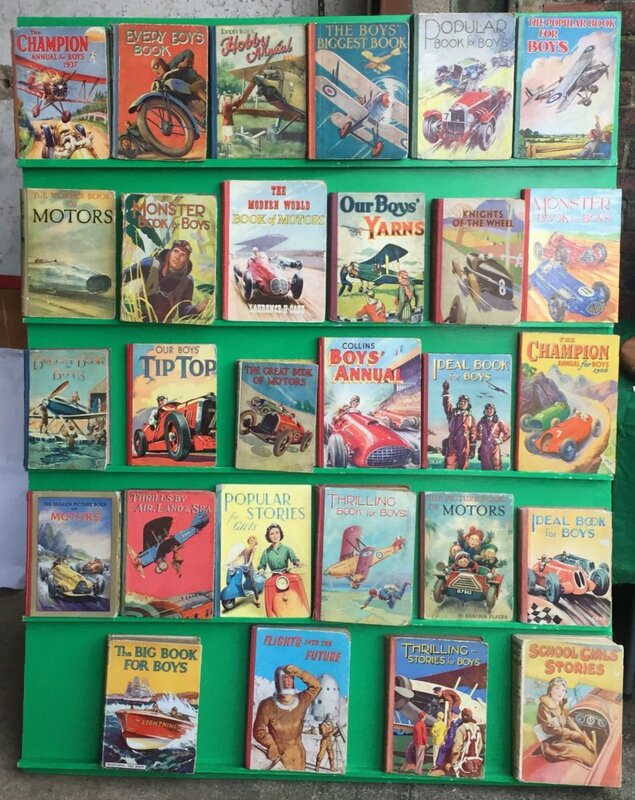 I have recently found a little book entitled “Motor Manuals – Car Maintenance and Repair – by Arthur W Judge first published in 1928”, this being the 4th edition published in 1945 having been pinched from RAF Northolt. Amongst other things is a picture showing the principal causes of motor car breakdown. Autochron added 3 new photos. Ex. works Austin Healey 3000 (XJB 871) rally car, campaigned and later owned by Rauno Aaltonen coming up for auction at RM Sotherbys. Interesting shot of engine bay showing the earlier set up of triple 2" SU's, rather than the later ubiquitous Webers. Also the evolution of rally instruments fitted to the dashboard. Although probably not all original, and certainly not all fitted at the same time in period, you can clearly see the earlier fitment of the Halda Speedpilot, the later fitment of the Halda Twinmaster, and also the blanking plate covering the hole where a modified speedo (just counters) would have been fitted. I need your help with a project that I am working on. “When doing regularity / jogularity – how important is it to have a stopwatch that records more than 60 minutes”. A secondary question is, if 60+ minutes are important then would it be better to have hh:mm:ss or mm:ss (where the minutes go up to 99). Autochron added a new photo. Autochron added 5 new photos. We have been overwhelmed by the success of our new events page, and would like to thank all who have suggested interesting events for inclusion. PLEASE KEEP SUGGESTIONS COMING. If you know of any other dates that you think fellow competitors would be interested in, or if you spot any mistakes I would pleased to hear from you.